At the outset, I have to praise DC Comics for releasing Black Canary/Zatanna: Bloodspell. First, it's always good to have original graphic novels on the stands. Second, for anyone who feels like "their" DC Universe has been eroded by the New 52, Bloodspell is a new story set essentially during the Silver Age Justice League "Satellite Era." A book like this, and Batman: Li'l Gotham, demonstrate that there's still stories that can be told using the old continuity. Will you ever see a story using the married Superman and Lois Lane? I doubt it. But, could DC tell new stories in graphic novel or digital form using such "iconic" runs as Paul Levtiz's Legion of Super-Heroes, Marv Wolfman's New Teen Titans, the Justice League "Satellite Era" or Justice League International days? More and more, I think the answer looks like "never say never." That said, I had to acknowledge even going in to Bloodspell that I have never held the fascination with Zatanna that writer Paul Dini and some fans have. I enjoyed Dini's use of Zatanna in his Detective Comics books (Death in the City and Private Casebook), especially positing a childhood friendship and romance between Zatanna and Bruce Wayne. But Zatanna in a variety of books is an often too ill-defined character for me to relate to, and the general obsession with the character (especially her DC Animated Universe appearances) has tended to lessen my enthusiasm for her. Bloodspell might have been more than satisfactory as a Justice League Unlimited cartoon episode teaming Zatanna and Black Canary. 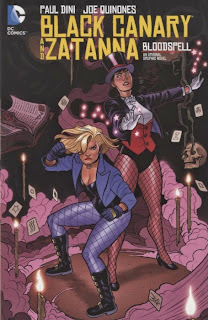 For a graphic novel, however, I found it somewhat short on plot; it also seemed to me in the beginning that Dini attempted to compare and contrast Canary and Zatanna's characters in an engaging way, but that essentially disappears by the end. Dini at times seems more interested in spotlighting Zatanna's sideshow-esque magic than telling a story; that's fine for Zatanna fans, but it left me a little cold. Bloodspell doesn't set itself in a time period per se, and probably what it posits about Canary and Zatanna's early meetings doesn't quite jibe with canon. At the same time, this book's Justice League meets in a satellite (albeit on that looks more like modern watchtowers), and among the members are Superman, Batman, Wonder Woman, Green Lantern Hal Jordan, and most notably Elongated Man Ralph Dibny in his Silver Age costume. In flashback, we see Zatanna both in her original and Silver Age caped costume. All of this should be a joy to readers who haven't seen some of these characters and this era in a while; also, the book utilizes Green Arrow and Black Canary as a loving couple, which is wonderfully nostalgic. The story is simple enough: Canary at one point infiltrated a gang to foil a robbery where the magic-using leader seemed to die; now that leader is taking revenge and Canary needs Zatanna to help combat her. Artist Joseph Quinones has an art style kind of like Amanda Conner at its best moments, and there's a zaniness to the story underscored by big, bold sound effects that might be appealing to fans of Conner, Jimmy Palmiotti, and Justin Gray's Power Girl series. My initial difficulty with the book comes when Canary first brings Zatanna in on the case and the two proceed to ... go shopping. Yes, there's a little humor there in that Zatanna and Canary both wear fishnets and so they often frequent the lingerie store (except that Canary doesn't really wear fishnets any more except occasionally here, so the joke kind of falls apart), but the idea that these two heroines would hash out a case over mall shopping seems to me what Dini would like to think would happen, rather than what would actually happen. Ditto the scene that opens, inexplicably, with Canary naked in a bathtub with Zatanna walking around in a towel (as if she'd just gotten out of said bath). Had the characters, for instance, just left a messy fight, there might be some explanation for the bath, but instead this follows directly from the mall scene. Cheesecake certainly has its place, and again I can't say this is terribly off the mark from a number of Palmiotti/Gray/Conner books, but for Dini to take the opportunity of a Black Canary/Zatanna graphic novel and write it essentially from the perspective of the male gaze seems to me a wasted opportunity. But where I'd really have liked more from Bloodspell is in justifying the use of these two particular characters in this particular adventure. There's a great scene in the beginning where Canary and Zatanna meet one another before they're Leaguers, at the beginning of each's training; this continues to Canary introducing Zatanna to the League and some of their adventures together. But despite that Dini seems to try to emphasize some differences between the characters -- namely that proceeds from Canary's action figures go to charity while Zatanna profits off her own name and image -- the similarities and differences factor not at all into the end. Aside from solving the crime, neither character has an arc in the story. Dini at another point cameos Zatanna's deceased-but-ghostly father, but there's no comparison made with Canary's father, also presumably dead in this continuity. I can't help wondering what Black Canary/Zatanna: Bloodspell might have looked like if drawn in the Bruce Timm/Batman: The Animated Series style; this might, at least, have given the book some visual interest to balance out the story (when Quinones doesn't look like Conner here, his faces have a sameness and thinness like Chris Bastia's work, which I didn't like as much). Even with the "Mature Readers" jokes, different art might have leveled my expectations for the story overall. I hope DC continues to release original graphic novels starring its mainstream characters (I still hope to see an in-continuity OGN one of these days, like an Avengers movie is to the ongoing SHIELD show), but this one didn't hit the mark for me. I agree with your review, though I actually quite enjoyed the graphic novel myself. I loved the fact that the story is set in the now-classic pre-New 52 continuity, allowing, amongst other things, Dinah and Oliver as a lovable and believable couple again. As you pointed out, some jokes don't work well, but the humour overall is pretty great. I especially liked Superman's unexpected cameo. The story could have admittedly used a little more depth and a little less cheesecake, but being like an episode of 'Justice League Unlimited' was actually a plus for me. It could be my nostalgia for the series at play here, though. Moreover, I did appreciate the fact that the book also includes Dini's original and amended story pitch, sketches and the script with panel sketches included. It may have resulted in a higher price tag, but for an insight into the creative process, I think it could be justified. As you said, hopefully DC releases more OGNs in the future, both in-continuity and from or inspired by the classic continuity. I think this was a good for a first outing any future OGNs could learn from and build upon to produce something excellent. Gotta disagree with you here, I thought this book was just wonderful. I was smiling from beginning to end. 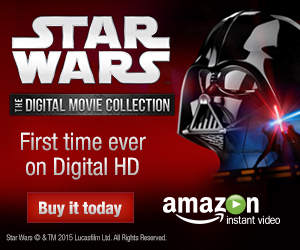 This was especially a relief after how many grim and gritty DC books are flooding the market. I think Dini was going for a super fun, light, non-dramatic romp and he succeeded. Also I have never seen work by this artist before but he is incredible. He makes women actually look like real women, with interesting and distinct facial features, and full of personality. You could actually tell who Zatanna and Black Canary were by their faces alone, because they had different noses, chins, etc. Shouldn't be a lot to ask for but that's different from 99% of DC comics right now.